Food is not only necessary for our survival but it can also provide a way to manage stress. 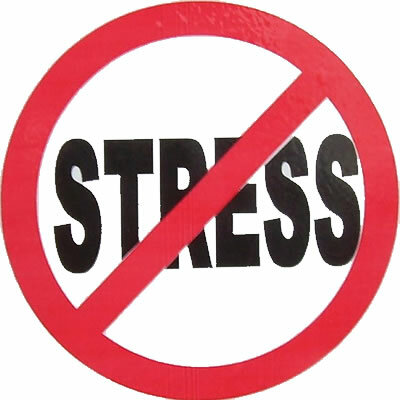 Stress can create a lot of problems to our mental and physical health. Managing stress with food is about consuming those foods that can give your body those ingredients and energy to cope with the daily life obligations that are the major causes of stress. You can manage stress by consuming foods rich in protein. The proteins are broken into amino acid during the process of digestion. A particular amino acid, the tyrosine, contributes to the increase of chemicals dopamine and epinephrine, which have the capacity to give the body energy and to keep you vigilant. Foods that have high concentration of protein are meat, poultry, fish, eggs and dairy products. Consuming foods containing carbohydrates can help you relax and get relief from stress. Carbohydrates, during the digestion process create serotonin, a substance that causes a sense of relaxation and makes you calm. Foods to help you reduce stress are cereals, pasta, rice, pulses, fruits and vegetables that are rich in complex carbohydrates. Treat possible symptoms of grief and depression by consuming foods that contain folic acid. Lack of folic acid in the organism is responsible for reducing the levels of serotonin. Folic acid is detected in spinach and natural orange juice. Treat the emotional stress and possible depression crisis by hiring selenium. The selenium exists in sunflower, cereal or even in a tuna sandwich. Enhance your memory and boost your concentration by consuming foods rich in choline. The choline belongs to B complex vitamins and contributes to the secretion of the chemical acetylcholine in the brain, which is related to the strengthening of memory. The Choline is present in eggs. It is proven that people who lack this nutrient experience memory problems and they are more vulnerable to Alzheimer’s disease. The caffeine acts as a stimulant. In reasonable quantities improves mental abilities by causing vigilance. Excessive consumption of caffeine may lead to stress, anxiety and insomnia. Try to limit the daily intake of caffeine and you will notice that this will also reduce your stressful reactions and we help you manage stress better. Many are those who consume alcohol in order to reduce their anxiety and stress. It is scientifically proven that consuming small amounts of alcohol helps to relax. Large quantities are more likely to increase stress and cause sleep disorders. Although many believe that nicotine and smoking contributes to relaxation, in reality it actually increases stress levels.Many former smokers report that, when they stop smoking, they experience a better mental well-being and feel morerelaxed and in general they have better confidence in managing their stress. The body through healthy diet is able to effectively manage stress and to cope with the hectic pace of our lives. So if the tension and anxiety are prevalent in your daily life, adjust your diet to your daily needs, in order to improve your well-being and vitality and be able to cope with your obligations. Great Article. Foods definitely cause comfort in some instances. Notice how your kitchen and dining room are arranged. This can effect your mood and energy also. When you are sad or stressed out this is where the “comfort foods” would come in. Listen to your body. Most of the time when you get a craving it is in need of something, protein, iron etc.